One check of Slushii's ever-growing record of credentials and there's no doubt that the 21-year-old, forward-thinker is the future of electronic dance music. In just two years since he emerged on the scene, he's brought his vibrant, textured sonics to five continents and countless countries, with three headlining tours already under his belt and electrifying festival crowds everywhere. His rap sheet doesn't end at his relentless touring itinerary either. 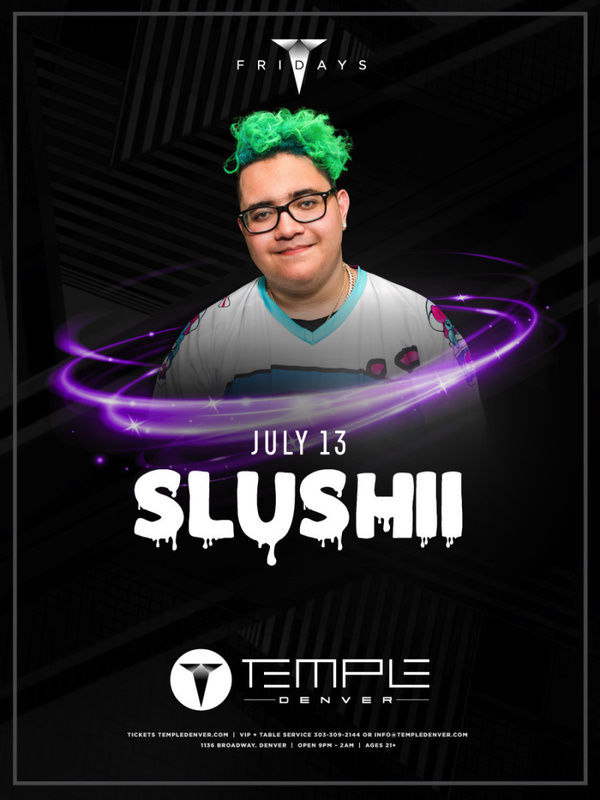 Massive collaborations and remixes co-signed by the likes of Marshmello, Maroon 5, French Montana and more, make Slushii a dominating force in the digital streaming landscape, as he continues to flex his ultra-versatile production capabilities with everything from poolside pop to punishing trap products. He kicked off 2018 white-hot with the release of There x2 featuring Marshmello that raked in impressive streaming numbers across all platforms and followed that up with a seven-track dubstep EP, Find Your Wings. Slushii has come an immeasurably long way since his 2016 chart-topping debut EP Brainfreeze, and now that the bright young beatsmith has truly found his stride, there's no chance of him cooling down any time soon.